These two little guys have been hanging out at the tiny patch of green on the way to the train station. Sometimes, they sit far apart, sometimes, like in the picture above, they sit side by side. I look out for them everyday. 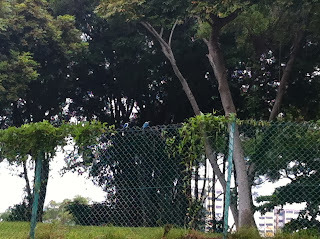 The last time I tried to take a photo of them sitting together, one of them got annoyed and flew off. Today, I was more cautious and kept my distance which explains the terrible quality of the photo. The iPhone camera zoom can only handle so much. 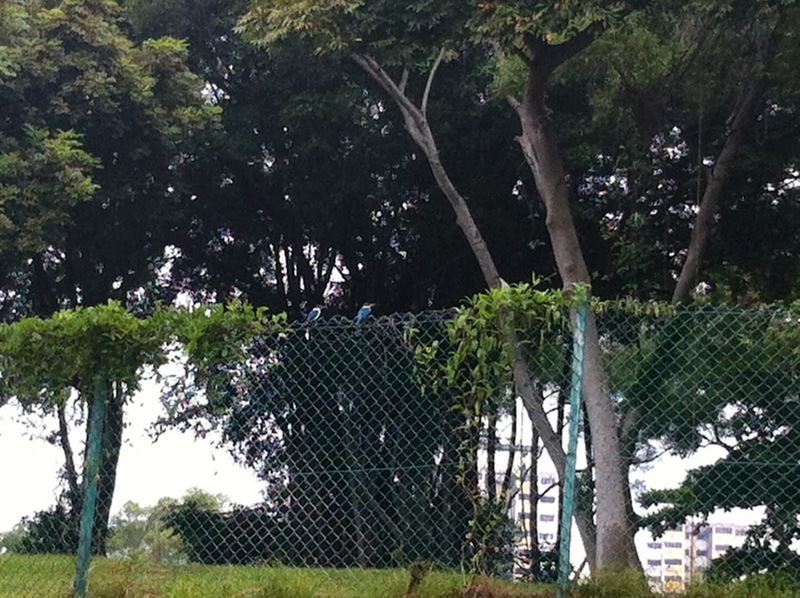 I'm always happy to see them - either of them - perched up on the fence above the grassy verge. These little green and blue moments are so ephemeral - maybe tomorrow they'll fly away to some new hunting ground, maybe tomorrow the land will be sold, the trees cut down. Maybe. But today, they were sitting together, side by side, and I got a photo, all of which makes for a nice start to Friday.